Custom engineered and pre-built Unistrut Rooftop Support Systems are easy to install and safe for all roofing materials. 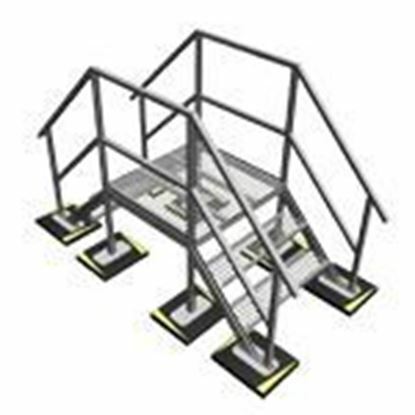 Each rooftop support combines fully adjustable Unistrut channel—eliminating the cutting and welding associated with most fabricated supports–with a secure, non-penetrating rubber base. Whether your application calls for a custom or stock solution, Unistrut Service Company has the expertise required to solve even the most challenging rooftop support system installations. To learn more about our complete line of Rooftop Support Systems checkout our products below or contact Engineering for additional information. Pipe-roller supports allow for longitudinal movement of gas and mechanical pipes during thermal expansion and contraction. With a unique, non-penetrating rubber PUC base and adjustable hardware that allows for variable height control, Unistrut Service Company’s (USC) rooftop pipe-roller supports ensure pipes remain above standing water and obstacles. 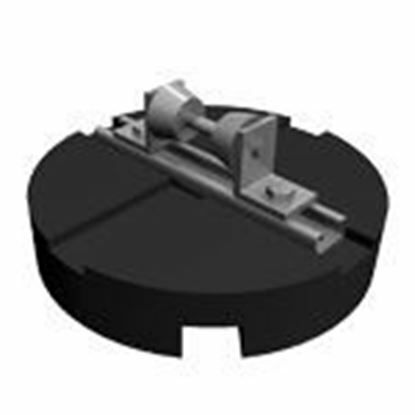 USC pipe-roller supports are safe for use on all roofing substrates, including rubber membrane roofs. In addition to the standard configurations and part numbers, we can custom engineer a rooftop pipe-roller support system to meet your specific needs. PUC pipe and conduit supports are an ideal choice for condensation pipe and conduit applications on all roofs. With a lightweight, non-penetrating, recycled rubber base design engineered for fast and easy installation, PUC pipe and conduit supports accept Unistrut and most other common pipe and conduit clamps. In addition to the standard configurations and part numbers, we can custom engineer a rooftop pipe or electrical conduit support system to meet your specific needs. Trapeze or pipe hanger supports absorb the thermal expansion and contraction of water and steam pipes that can damage roof membranes. 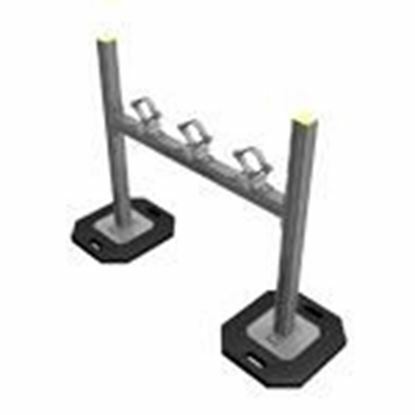 Trapeze style pipe hanger supports combine telescoping Unistrut channel for maximum height adjustability and quick installation with a non-penetrating rubber base to minimize roof leaks. In addition to the standard configurations and part numbers, we can custom engineer a rooftop pipe hanger support system to meet your specific needs. H-Frame HVAC duct supports utilize telescoping Unistrut channel, which allows for quick and easy height and width adjustments and a non-penetrating, rubber base design that is compatible and safe with all roof styles. In addition to the standard configurations and part numbers, we can custom engineer a rooftop HVAC duct support system to meet your specific needs. Mechanical dunnage supports are used to mount condensers, rooftop HVAC units, and fans above the rooftop, allowing and increasing water andairflow beneath suspended equipment, which increases the systems efficiency. 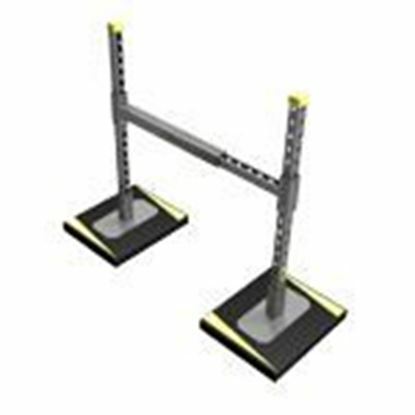 Strong, cost-effective, and easily adjustable, mechanical dunnage supports combine adjustable Unistrut channel with a non-penetrating, rubber base that is compatible with all roof materials. In addition to the standard configurations and part numbers, we can custom engineer a rooftop dunnage system to meet your specific needs. 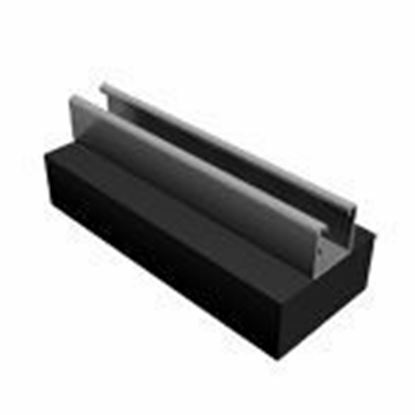 Rooftop Sleeper Standoff Supports are a sturdy and cost effective solution for creating an elevated rooftop standoff from existing sleeper supports or roof curbs. Typical applications include elevating rooftop piping, ductwork, HVAC equipment and more. The configurations and part numbers are for illustration and reference purposes only. Unistrut Service Company also offers custom engineered rooftop support systems and accessories to meet your specific needs.